This past weekend, we finally got some rain in southeast Michigan and it got some stuff moving. 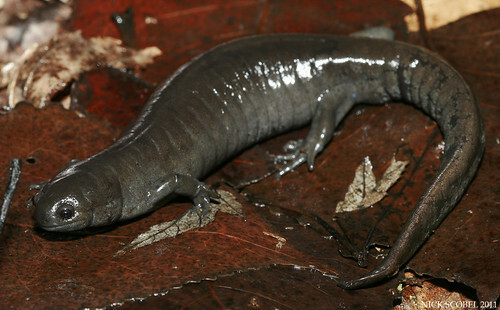 I spent some time aiding a study that is ongoing to the genetics of the Smallmouth Salamander in Michigan. 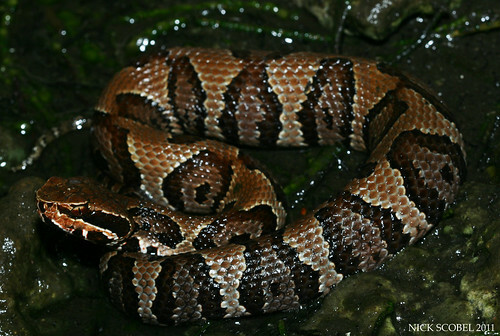 This species reaches its northern range limit in extreme southeast Michigan. This area is the population center of the state and is extremely developed. 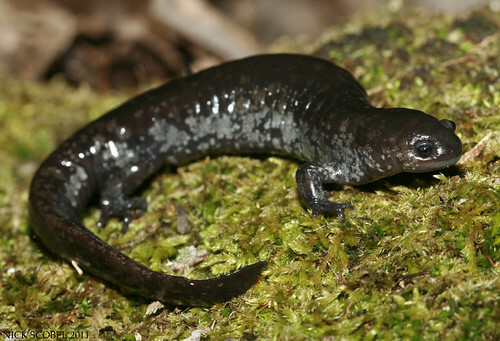 Though Smallmouth Salamanders were probably never extremely common in Michigan, fragmented habitat has caused a decline in their numbers and they can now only be found in 2 or 3 locations and are listed as a state Endangered species. The point of this study is to take tail clips for genetic analysis to understand the genetic health of the few Michigan populations and to monitor breeding activity. We managed to trap and process over 100 animals over the course of two nights and also had some other species show up as well. All of these specimens were found at the same breeding site. Unisexual hybrids can be diploid, triploid, or even tetraploid. 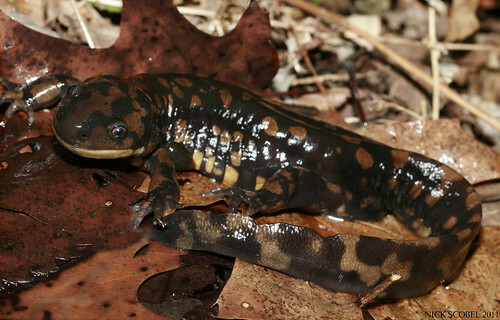 These animals share the genotypes of the Blue-Spotted, Jefferson's, Smallmouth, and occasionally Eastern Tiger Salamander. 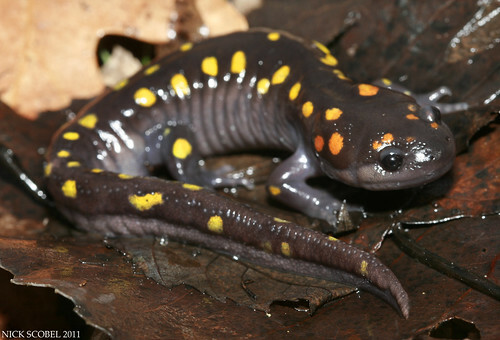 These unisexually female salamanders migrate to breeding pools with other salamanders on warm, rainy spring nights where they utilize sperm from males of other Ambystoma species to fertilize their eggs. The sperm of the males stimulates unreduced eggs to develop, resulting in clones of the female, this is similar to a process known as gynogenesis. It is also possible for the genome to be replaced or for the number of chromosomes in the offspring to be increased. 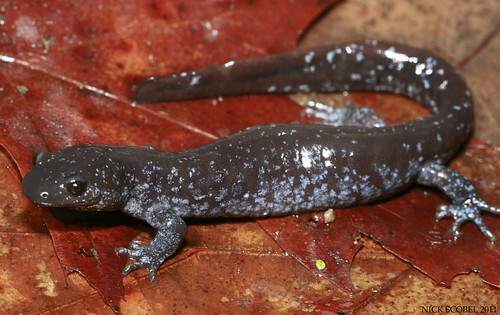 The genetics of these salamanders is still undergoing study by many researchers. Here's a few other animals that showed up this past weekend. That's all for now. 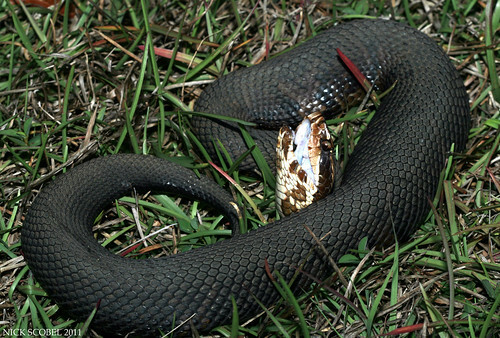 Until then, happy herping! Once again, I'm back in winter's icy grasp here in Michigan. But last week I had the chance to get away to Florida for a short trip. 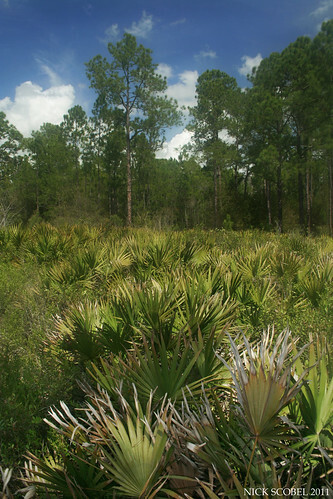 For most of the week, I spent a lot of time in dry pine flatwoods, hammocks, scrub, and other xeric habitats in search of one of my favorite snake species. After hiking for several hours one morning in search of a diamond-like pattern, I headed back to the car to grab some lunch. 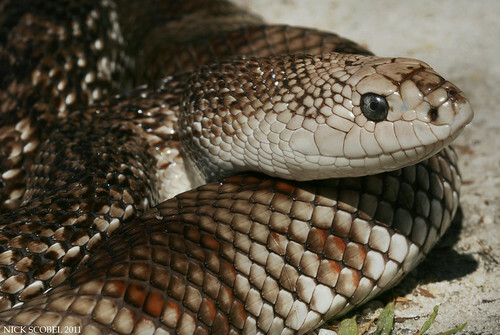 Upon returning to the area in the middle of the afternoon, I noticed a dark shape in the road which turned out to be the snake I had been looking for. This large individual was making its way across the road about 2:30PM with sunny skies and an air temperature of about 84 degrees. Very similar conditions to the one I found last year in the same area in March. This big girl held her ground in textbook form and allowed me to photograph her for a good twenty minutes before backing herself into the thicket pictures above. She was around three and a half feet in length and full of attitude, it's hard to imagine what a five or six footer would be like. 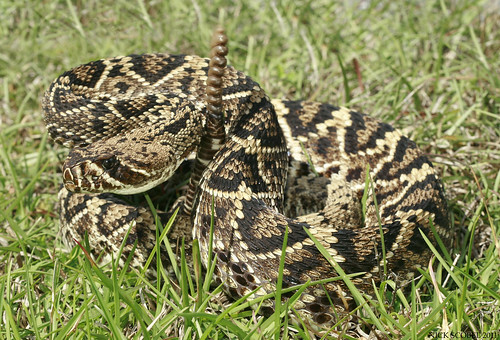 Eastern Diamondback Rattlesnakes and their smaller cousin; the Dusky Pigmy Rattle Snake, seem to prefer pinelands in general in the sunshine state. Sadly, these ecosystems are diminishing at an alarming rate due to the rapid development and expansion of the human population in Florida. 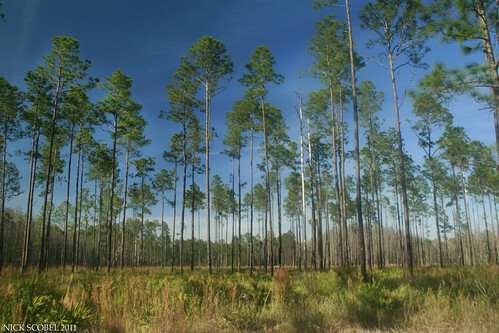 But in some areas, large tracts of pine forest are still present and are a haven for many of Florida's reptiles and amphibian species. I spent quite a bit of time exploring areas like these in central Florida during the week. 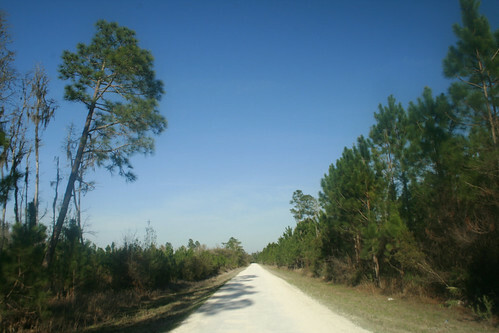 One a warm afternoon during the week, I spent a few hours driving this road in Sumter County in hopes of finding some herps on the move. After a few passes with no luck I was beginning to get a little discouraged, but finally on my fourth pass I was lucky enough to drive up on this little guy right in the middle of the road. 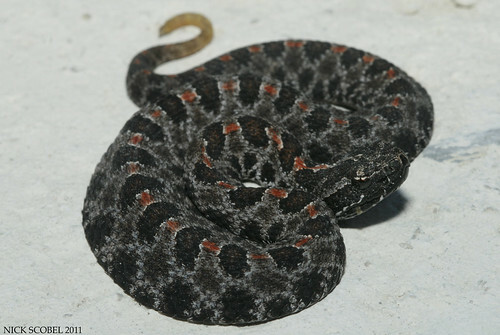 These small rattlesnakes are closely related to my favorite Michigan snake species, the Eastern Massasauga Rattlesnake. Despite their tiny stature, pigmies are pound for pound one of the most feisty venomous snake species I've encountered in the field. Most are very twitchy and bitey, and this juvenile was no exception. He hurled himself several times at my camera lens in hopes of causing an envenomation to my camera with no success. 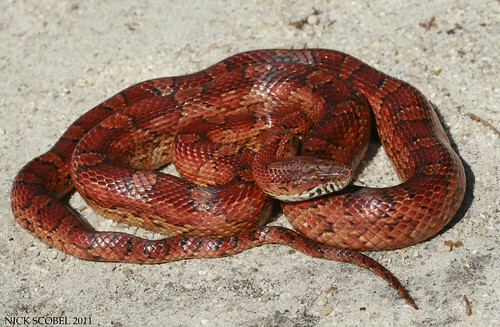 Every time I visit Florida, I hope I get the chance to encounter one of rat snake species that inhabits the state. This particular trip, I got the opportunity to find and photograph my first central Florida Yellow Rat Snake on the crawl in an oak hammock in the early afternoon. I had a few days to kill and spent them in the southern reaches of the state and had a chance to find and photograph both of Florida's crocodilian species. 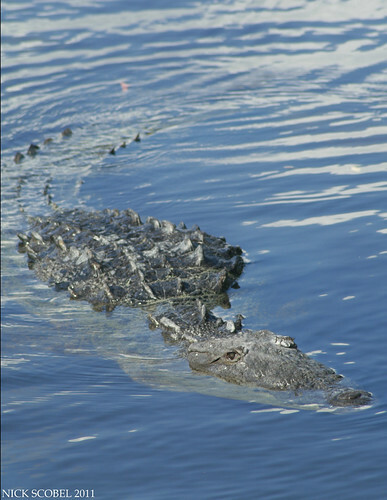 The American Alligator is extremely common statewide and can be found in almost any freshwater environment, while the American Crocodile is restricted to the brackish waters of the southern reaches of the state. 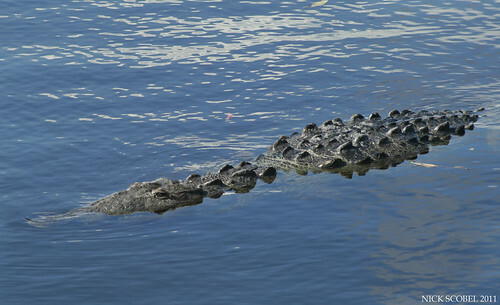 Although the American Crocodile was once listed as an Endangered species, is has been recently downlisted to Threatened by the U.S. Fish & Wildlife Service. 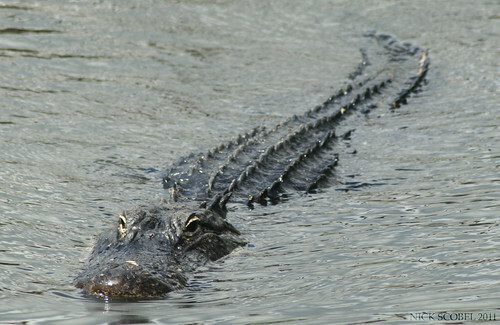 One of the coolest habitats in Florida is the cypress swamp. 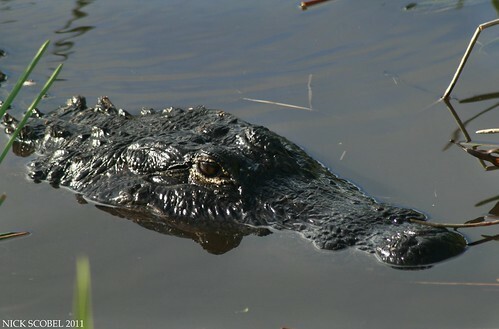 These hardwood swamps are retreats for many of Florida's reptile & amphibian species. In the north, Bald Cypress is the dominant species, but farther south Dwarf Cypress is the dominant. 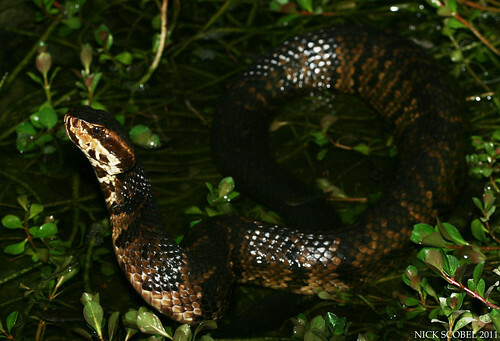 Checking these habitats at night by headlamp usually yields large numbers of this species, a trash snake to many. This large, bold species is always a treat to see no matter how many you've seen in the past. 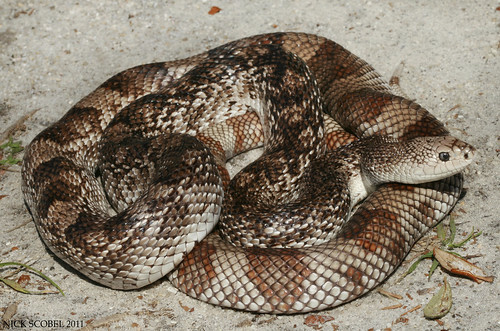 Cottonmouths are a viable part of any Florida swamp ecosystem and will always be a favorite snake species of mine. After rounding out the week in south Florida, I headed back home to Michigan and pit stopped in northern Florida to flip some tin with Daniel Dye. 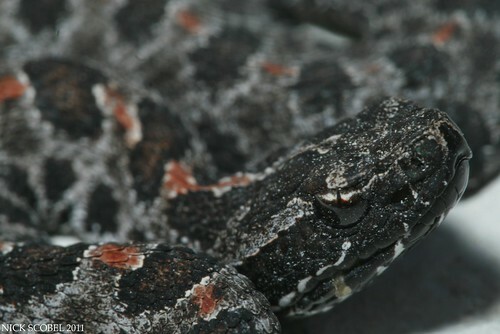 Although we didn't see much, he was kind enough to let me shoot some photos of this awesome snake species. 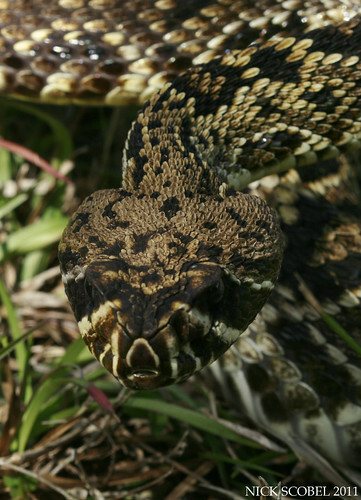 These large, powerful constrictors are exceedingly rare in Florida and are listed as a Species of Special Concern by the Florida FWC. They are restricted to xeric habitats where loose, sandy soil is available which allows them to burrow. 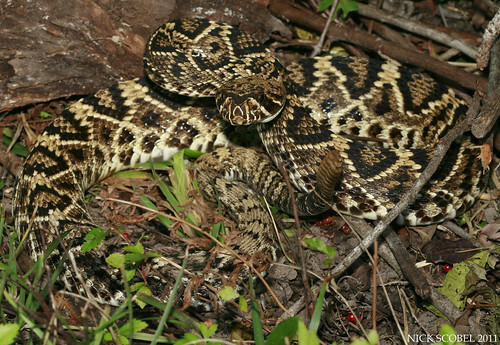 They spend much of their time underground and have been found to be tied closely with active Pocker Gopher & Gopher Tortoise burrows in Florida. Habitat loss, illegal collection, and intentional killing is responsible for its decline. 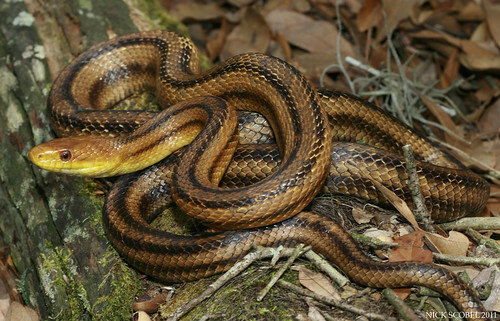 Continuing research and conservation is essential for the future of this snake in the southeastern United States. It was a great trip to Florida and can only hope my next trip will be equally as enjoyable. Until them, happy herping!